Description: Recommended Enhancement: Luck. For the Legion, at any cost! 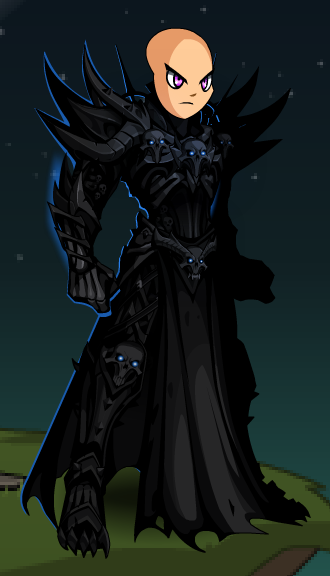 Your task is to harness the souls of the enemies of the legion. Break, leech, rend, and snare their will to live. Lose yourself to the power, lose yourself to the legion! Special Effects: Exalted Harbingers gain mana from all hits landed in combat, and especially on crits. The amount depends on damage relative to *their own* HP total. The lower your health, the more you will get. Description: You relentlessly beat at your foes's soul. Dealing high damage based on weapon attack, but with a longer cooldown. Description: Deals damage based on the difference between your current and maximum HP. The lower your health, the more damage you'll do. Description: Drain life directly from your target's soul. Deals damage and heals you. Description: Snare your opponents soul from afar reducing their chance to hit by 90% to hit and haste by 40% for 10 seconds. Description: You deal 15% more damage with all attacks. Description: Sacrifice your very life force to increase all damage dealt by 120% 125% and your chance to crit by 15% for 10 seconds. Also applies Exalted increasing your crit damage by 8% for 10 seconds. Exalted stacks to 4, although you won't be able to stack it without help from a strong healing and buffing ally! Can't miss and can't crit. For the Legion! 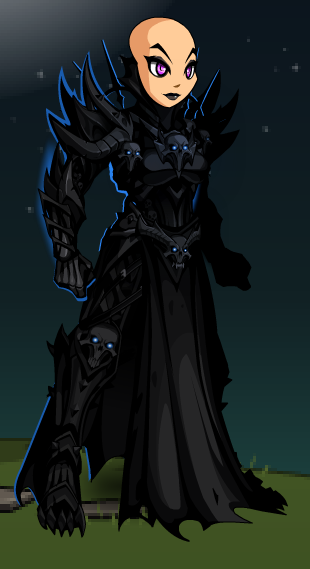 Dark Harbinger Armor (0 AC).